The Alternative Health “Tell-All” That Makes Doctors Cringe! Skyrocketing health-care costs today are forcing people to take another look at conventional treatment and know how they can eliminate a major portion of costly medical expenses. Learn how to prevent and reverse 412 diseases with vitamins, minerals, trace minerals, and herbs. A 400-page expansion of that highly popular tape. It reveals facts that are opposite from what the medical community has led you to believe. 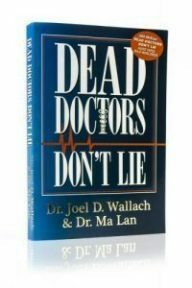 Don’t wait for twenty years of expensive “double blind” studies to learn how to rescue your health. Gain a clear understanding of the importance of having ninety essential nutrients and sixty essential minerals and how they affect your body and health.